Gildardo Juarez Vega is a member of SURCO AC, a grassroots activist organization that specializes in community media. He is from the Ayuuk community of Coatlán in the State of Oaxaca, Mexico, as well as from the Ayuuk Jaay culture (also known as Mixes). 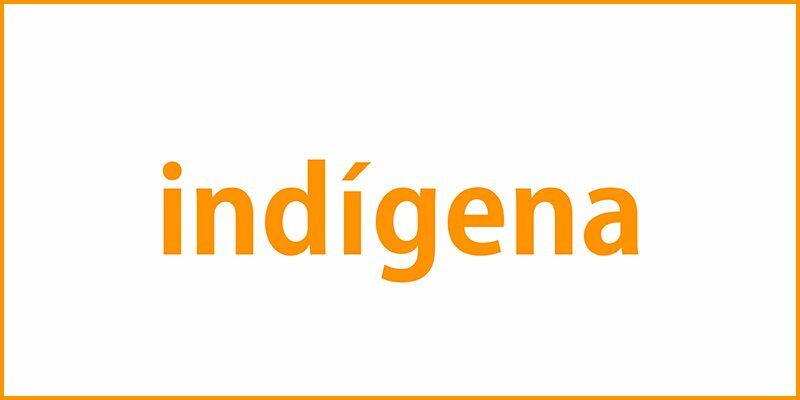 The following is a transcript of the audio podcast of Gildardo's analysis of the word cloud for the term “indígena” (indigenous). En la nube de palabras, dicen que somos Pueblo, comunidades, ¿o parte de una nación?, dicen que tenemos una lengua, que tenemos derechos. También dicen que vivimos de programas sociales, y sobre todo somos muy mencionadxs en la publicidad oficial creo que para justificar recursos económicos ¿malversados? Y dicen que somos Marichuy (María de Jesús Patricio Martínez), somos la vocera del CNI, somos la candidata. Nuestro pueblo ha vivido y sobrevivido gracias a muchos conocimientos locales, para la siembra, cosecha, salud, construcción, cuidado del entorno, etc. Pero sobre todo, tenemos una relación de respeto mutuo con la naturaleza. Nuestro forma de vida y organización como pueblo es diversa, dinámica y contradictoria. Parece ser que en la nube de palabras no se posiciona que las comunidades indígenas tenemos y generamos conocimientos. Tenemos saberes locales que nos enseñaron nuestros abuelos. Cada pueblo indígena tenemos historias, leyendas y mitos fundacionales, y de procesos comunitarios y de lucha. La historia que queremos contar es que somos Ayuuk ja’ay, porque tenemos en común una historia, lengua, espiritualidad, conocimientos, etcétera. Yo soy ayuuk ja’ay MMM pero no tan a gusto como mixe ni como indígena. In the word cloud, it says that we are a People, communities, or even a part of a nation?, It says that we have a language and that we have rights. It also says that we live from social programs, and above all we are very mentioned in the government advertisements. I think that’s to justify the economic resources. Are the funds embezzled? It says that we are Marichuy (María de Jesús Patricio Martínez), we are the spokesperson of the CNI (National Indigenous Congress), we are the candidate (for the presidency). Our people have lived and survived thanks to local knowledge for sowing, harvesting, health, construction, care of the environment, etc. But above all, we have a relationship of mutual respect with nature. Our way of life and organization as a people is diverse, dynamic, and contradictory. That indigenous communities hold and generate knowledge is not seen in the word cloud. We have local knowledge that our grandparents taught us. Each indigenous people has its stories, legends, founding myths, and processes for community and of struggle. The story we want to tell is that we are Ayuuk ja'ay, because we have a history, language, spirituality, and knowledge in common. I am ayuuk ja'ay, but I don’t feel as comfortable [being referred to] as neither Mixe nor indigenous. This is part of a Rising Frames series developed as part of an activity organized by the organization SURCO A.C. based in Oaxaca, Mexico. They helped organize a workshop held on May 29-30, 2018 in Oaxaca, Mexico that brought together representatives from various collectives and groups, especially from local community radio stations to examine how they or issues they care about are represented in a Mexican media collection and created stories in response to that representation.